Blade HQ is proud to bring you this exclusive release Basilisk-R from Hom Designs. The Basilisk-R features green carbon fiber handle scales with skeletonized titanium liners. It has a bowie style blade with a recurved edge and a satin finish. Ti liners and handle jimping add to the appeal of the design. Includes a titanium latch pin and stainless steel spacers. Green carbon fiber handle scales with skeletonized titanium liners for comfortable, lightweight flipping. 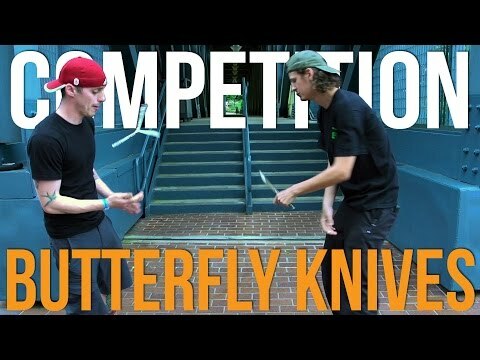 I own quite a few blades like most of us here but when recovering from a knee replacement surgery, I decided to give the butterfly knifes a try (about 1.5 years ago). 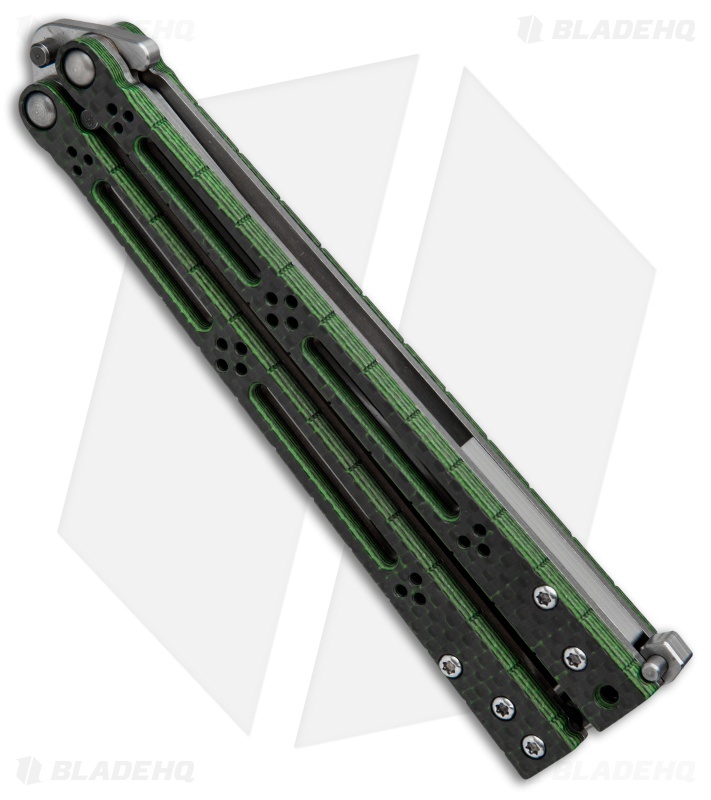 Since then I picked up eight balis (Flytanium BM51, Tach 3, Brous B3, Flyfather, Eddleman custom KRIS, BRS Alpha and the HOM Arashi). 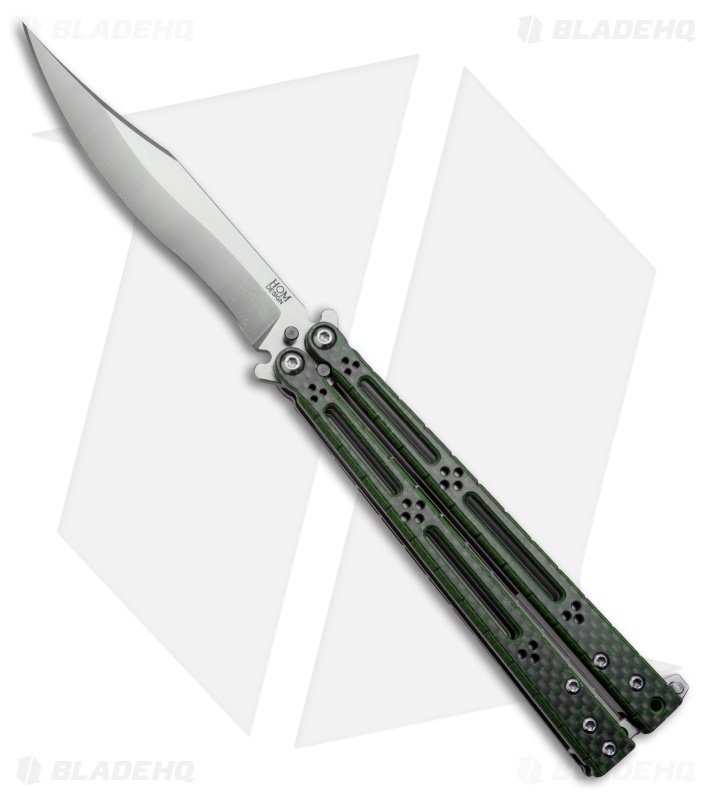 Besides the HOM Arashi, this bali is outstanding in terms of flipping, visuals and beats all of my other balis except the Arashi by a wide margin. My only issues is that I have to outfit the case myself - Maxpedition R7 with a silica pad, a cleaning cloth and placing the knife in a small cloth bag within the pouch. Totally satisfied and I normally don't leave reviews but this blade has easily exceeded my expectations. I won't ever sell but will be passing on down through the family generations :-).